What does the month of October mean to you? For people in the Southern hemisphere it means fall festivals, pumpkin spice latte's, and slightly cooler weather. October means something a little different to our team, because October marks National Orthodontic Health Month. During October, orthodontic clinics all over the country work together to promote their services and inform the community about the important work we do. Orthodontic treatment, like braces help move teeth that are crooked or that do not fit together right. By fixing these problems, orthodontics can also help keep your mouth healthy. Crooked teeth can be harder to clean, putting you at risk for cavities and gum disease. The American Association of Orthodontist recommends the first visit to an Orthodontist by the age of 7. Treatment is commonly started between the ages of 10 and 14, but patients can get braces at any age. In fact, more and more adults are getting braces. Braces are made of bands, wires, and brackets. They gently move teeth into the right position. This can fix the way you bite together. There are different types of braces. The most common are metal or plastic brackets attached to the front surface of the teeth. Some patients can also be considered for Invisalign A new patient exam at no charge to you would determine the best treatment available to you. Use tools designed for braces, like floss, and electric toothbrushes specifically designed for orthodontics. Visit your Dentist for regular yearly cleanings. Don't eat hard or sticky foods. Call us at 504-468-6200 to set up your complimentary consultation. We look forward to seeing you and your family this October at Scaffidi Orthodontics. HAPPY HALLOWEEN FROM OUR STAFF! Fall can be a really enjoyable time of year for you and your family. The kids are back in school, the leaves are changing, the air is cooler, and Halloween is here. This holiday is a lot of fun for kids, but Scaffidi Orthodontics wants to remind you it can also be risky, especially for your child's braces. If you have kids with braces, take a look at the following tips from the American Association of Orthodontics (AAO) on how to keep your kids and their teeth safe this Halloween season. Young children should always be accompanied by a responsible adult at all times. Choose light colored, reflective element costumes that can easily be seen at night. 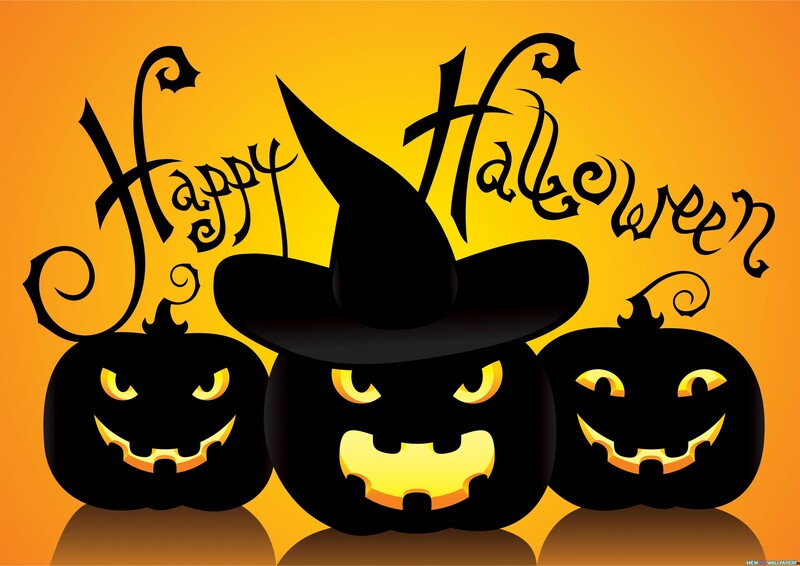 Avoid costumes that include mask, especially for younger children. Inspect all your children's goodies before they are allowed to enjoy them. 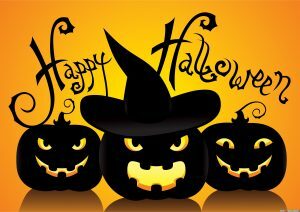 Enjoy trick or treating in well lit neighborhoods and in groups. Some of these treats may seem harmless, but all of them have the potential to bend or break your child's braces, so it's best to avoid eating them all together. These are just a few alternatives to traditional Halloween candy. Helping your kids have a safe and fun Halloween- while at the same time protecting their braces-can be easy if you follow these simple tips and guidelines. Help your kids enjoy the holiday without having to visit Dr. Scaffidi for repairs on broken braces. IF your child does break a brace remember to call Dr. Scaffid's office right away to schedule a repair appointment which will be required to be scheduled prior to 3:00 P.M.
"This year I am thankful for my health. I am thankful that GOD has continued to bless me with an abundance of friends and family. I am blessed to have two amazing sons whom I love dearly, and my sister who is always there for me in anything I need. I am especially thankful that each day I get to surround myself with a boss and co-workers who I can always be myself around & laugh with; doing what I LOVE- making beautiful smiles!" " This year I am thankful for being blessed with such a loving and supportive family. I am thankful for God and the wonderful bundle of joy he has blessed me with this year. I am also thankful for my health, friends and my puppy who I love very much!" "I am thankful for my health that God has given me. So thankful to have both of my parents with me. I'm very thankful to have the opportunity to go back to college. Last but not least I am thankful to have a wonderful, thoughtful and supporting man in my life that I get to call my other half." "I am thankful for my heavenly Father who always takes care of my family. I am also thankful for my wonderful family and amazing boss and co-workers." "I am thankful that I have wonderful friends and family that make it easy to get through these tough times." "I am thankful for my wonderful family and loving husband. I am also thankful for God blessing me everyday with a wonderful life to wake up to. Last but not least I am thankful for the wonderful Scaffidi family that I am apart of." "I am thankful for my family and friends, my home and health, and for being a part of Scaffidi Orthodontics!" "I am thankful for all the blessings in my life, especially my wife and children. I am grateful for each and everyday that I get to spend with family and friends. Finally, I am thankful for the ability to provide people with beautiful smiles!" Some of these treats may seem harmless, but all of them have the potential to bend or break you child's braces. so it's best to avoid eating them all together. These are just a few alternatives to traditional Halloween candy. Helping your kids have a safe and fun Halloween- while at the same time protecting their braces-can be easy if you follow these simple tips and guidelines. Help your kids enjoy the holiday without having to visit Dr.Scaffidi for repairs on broken braces. IF your child does break a brace remember to call Dr.Scaffid's office right away to schedule a repair appointment which we be required prior to 3:00 P.M.